If you’re looking for a fun and easy STEM activity with your children, this Latte Play Dough is a great choice. Play dough is a popular sensory activity with kids. There’s good reason why, too. 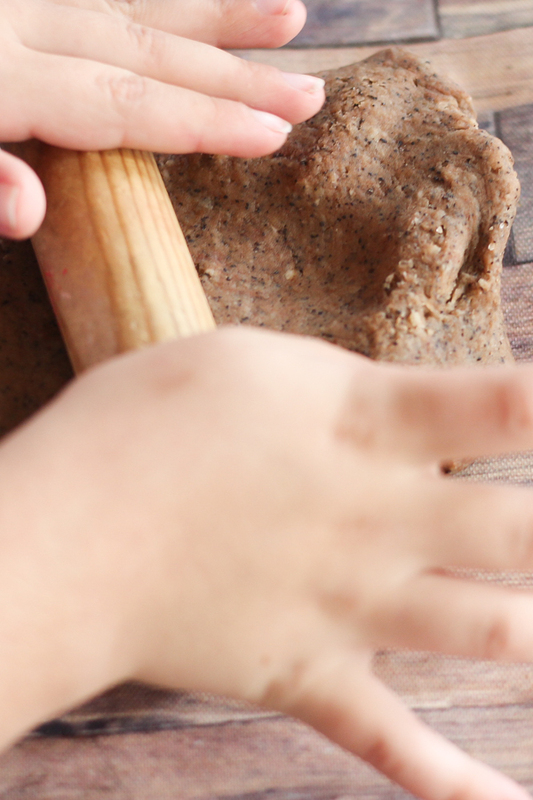 It’s fun to play with, but making your own play dough adds to an already fun activity. 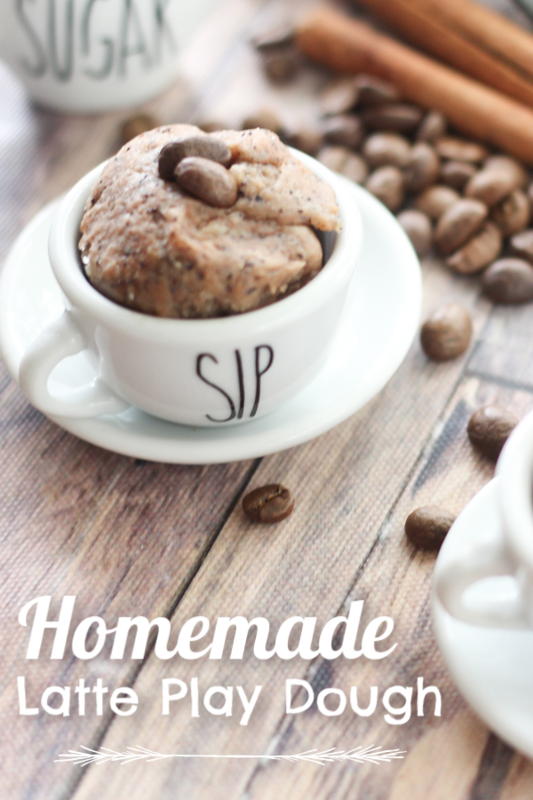 This Homemade Latte Play Dough smells just like the coffee shop, and will get your little one’s imagination jump started and ready to create. Little Baristas will be brewing and creating for hours while they strengthen their hand muscles and develop important fine motor skills in the process. Latte play dough is exactly what it sounds like. It’s a play dough made with coffee grounds. 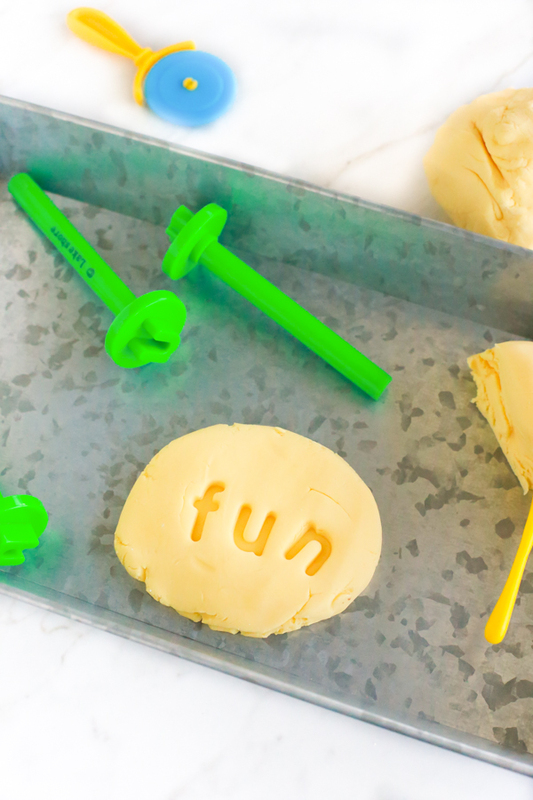 There are several other ingredients in this Latte play dough recipe, but really, it’s so easy to make and the kids will love it. As a mom too, I know that making things we find on the internet doesn’t always work out the way it’s supposed to. 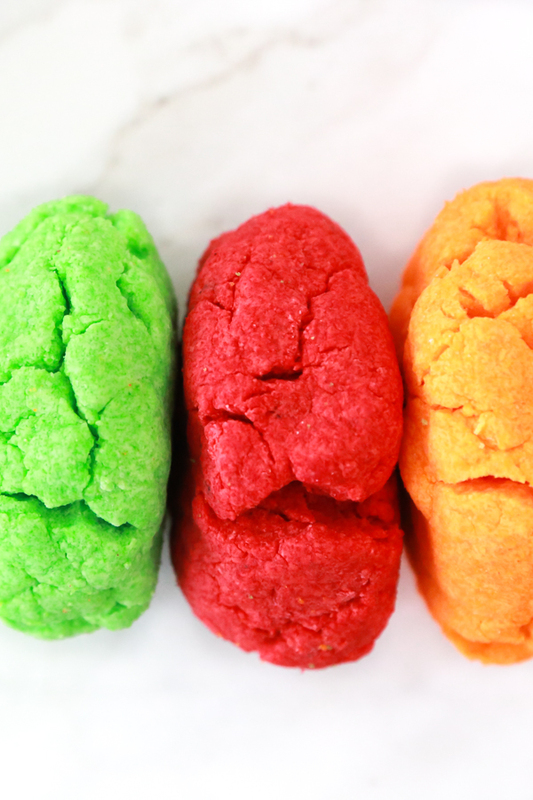 But with this super simple homemade play dough recipe, I don’t really think you can go wrong. 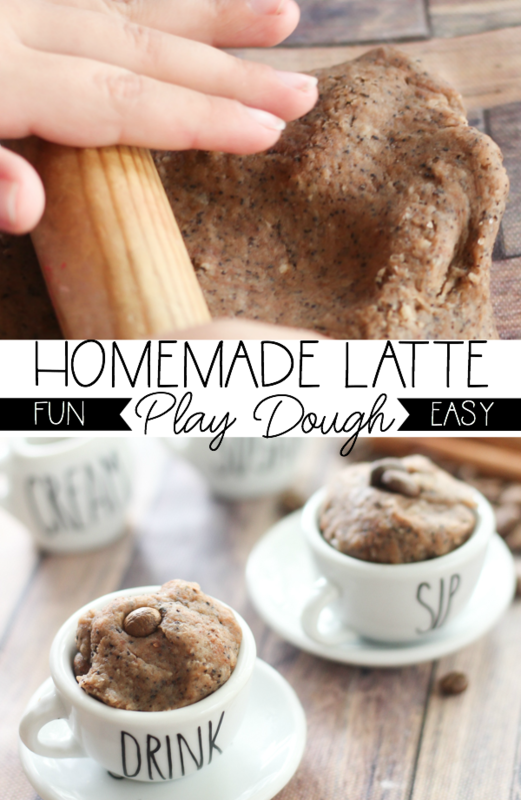 When I say this Latte Play Dough recipe is easy to make, it really is easy to make! 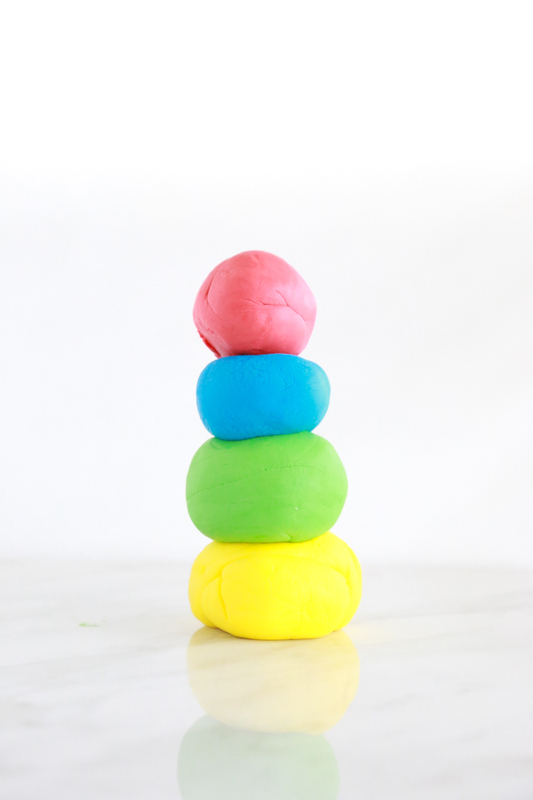 Make this play dough with a few pantry ingredients that are probably already in your stock, grab a few fun tools to add to it and let those little imaginations concoct everything from a simple cup of coffee to coffee cookies! 2 tablespoons cream of tartar – If you plan on making more batches of homemade play dough, I recommend buying a bigger bottle of cream of tartar to save money. Those little jars at the grocery store are super small and will only last for a few batches. Combine all the dry ingredients in a small bowl and whisk to combine. 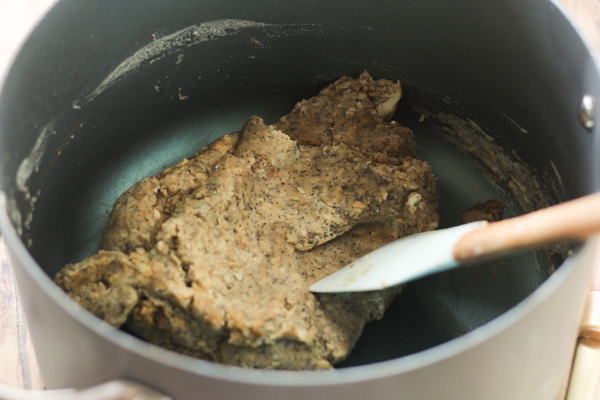 Place dry ingredients into a large pot, add in wet ingredients, turn on stove to medium heat, and stir. You can use ground coffee fresh from the bag or you can be really frugal like I am and use the grounds from your morning coffee. 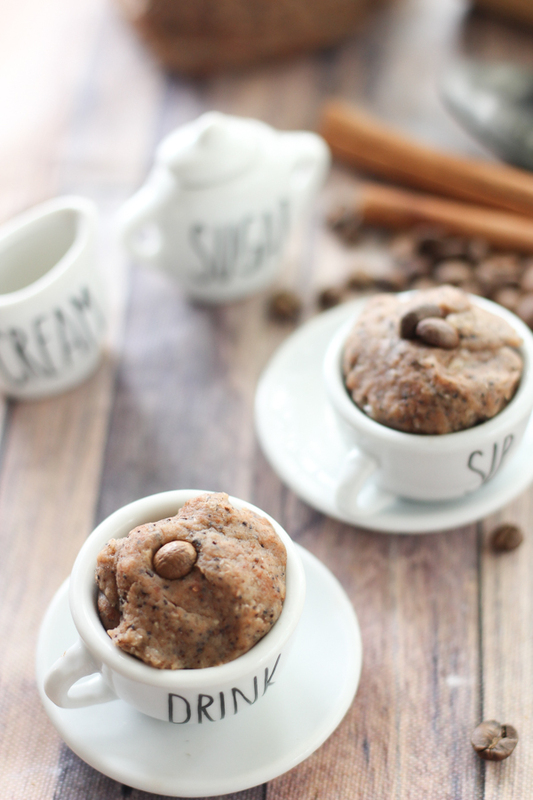 If you use k-cups, they work perfectly for this Latte Play Dough recipe. Stir frequently until mixture starts to pull away from the sides of the pan as you see above. It only takes a couple of minutes to get to this point. Note: Parental supervision is required for safety. The play dough will be hot to the touch once it’s done cooking. Please take precautions to make sure your children don’t get burned. 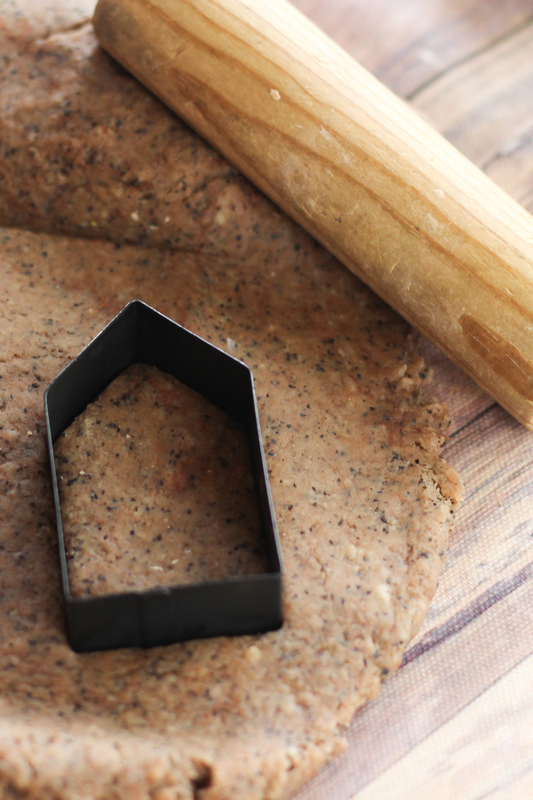 Remove the pot from heat and place dough on a smooth, lined surface. I like putting wax or parchment paper down just to protect the surface. Allow to cool until comfortable to touch. Once the play dough has cooled down and comfortable to touch, knead it for 2 to 3 minutes to finish combining and softening the dough. 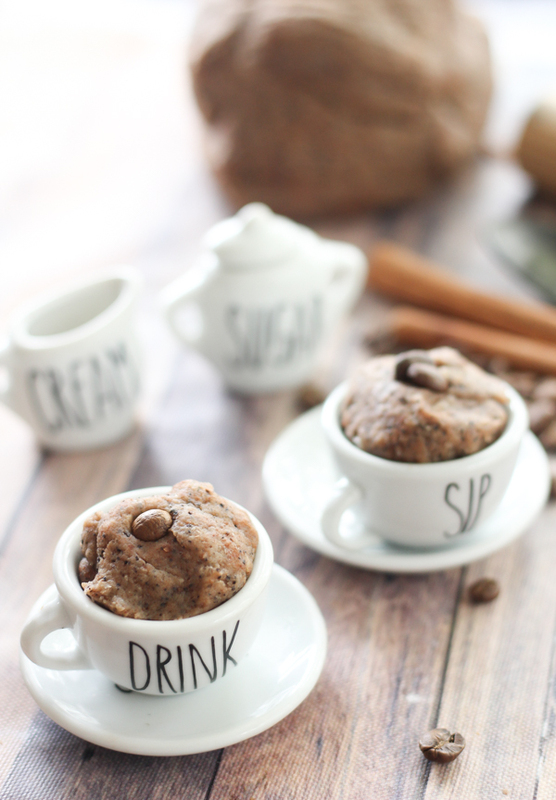 Add small cups, spoons, something to roll with, cookie cutters, coffee beans, cinnamon sticks, and other small items to encourage longer and engaging play time. When homemade play dough is not in use, store it in an airtight container. Depending on how much we have, I either store it in plastic baggies, plastic containers, or glass jars from the Dollar Spot at Target. 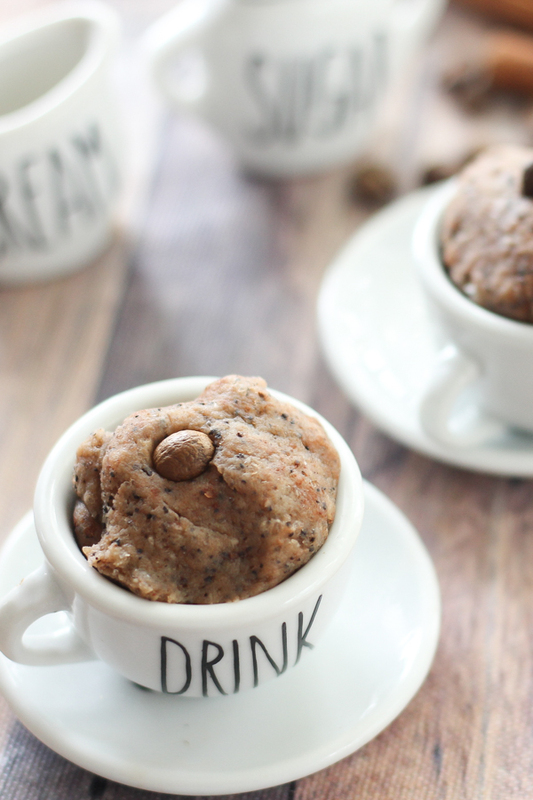 This Latte Play Dough recipe will last for several weeks if stored properly. Tip: Make sure your kiddos wash their hands before playing with the play dough to make it last longer. If you notice that your play dough starts to dry out, you can add just a little bit of oil and work it into the mixture to make it softer again. Isn’t it amazing what common kitchen ingredients can make? I highly recommend that you just get in the kitchen and start experimenting with your children. There will be lots of failures (at least there was for us) but there will also be lots of successes. You’ll never know until you get in there and start experimenting. Don’t forget to pin this homemade play dough recipe to one of your DIY/Crafting boards on Pinterest so you’ll be able to find it when you have time to make it with your children.